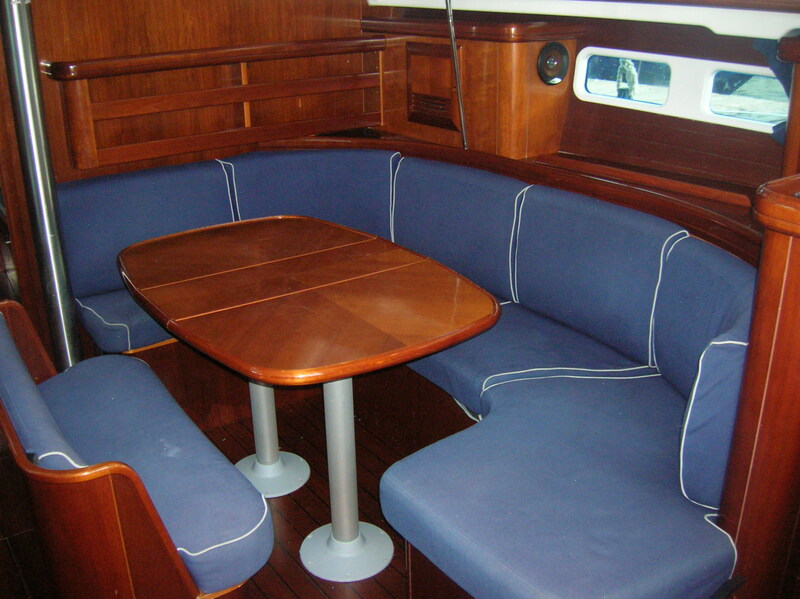 Beneteau Celebration (2004) 55hp Volvo diesel. 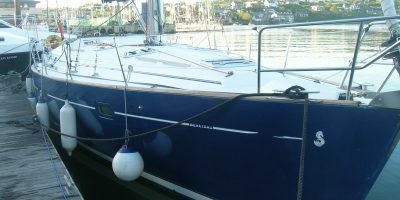 Blue Hull Electric halyard winch and anchor windlas. 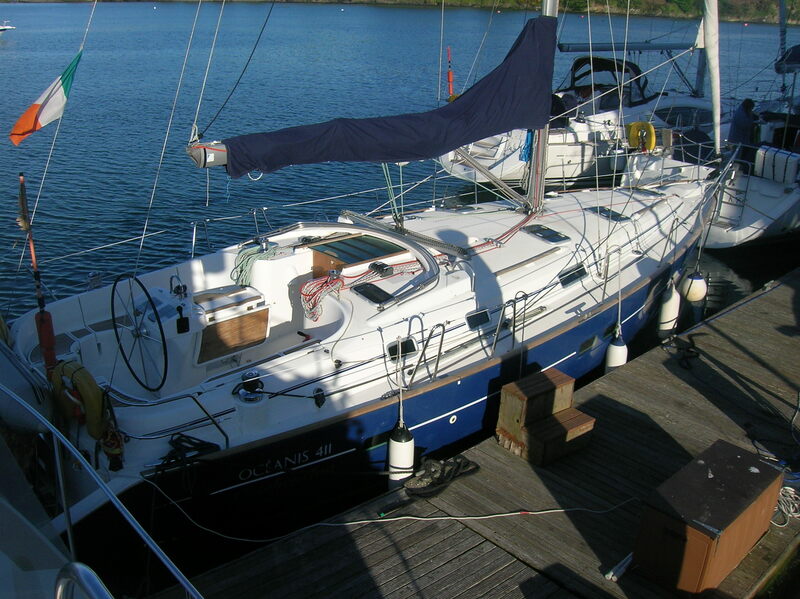 3 cabins, 2 heads and full navigation pack. 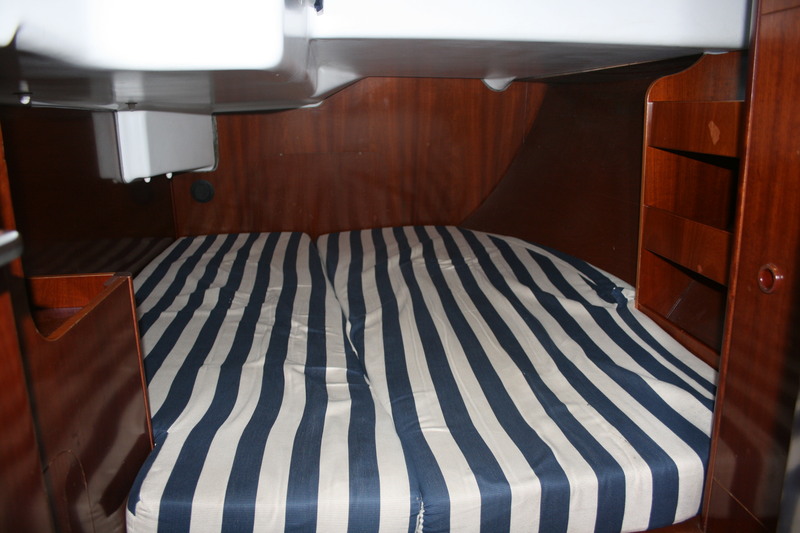 Standard Oceanis 411 three cabin layout. 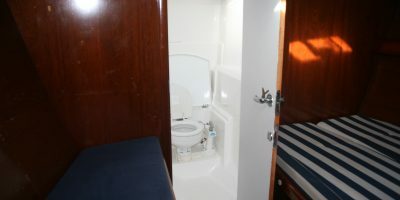 From the forepeak we have the ensuite heads compartment for the forecabin with toilet basin and shower. 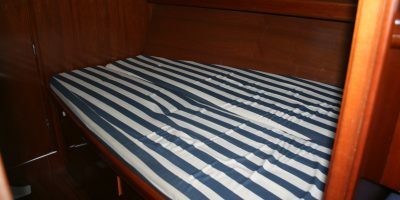 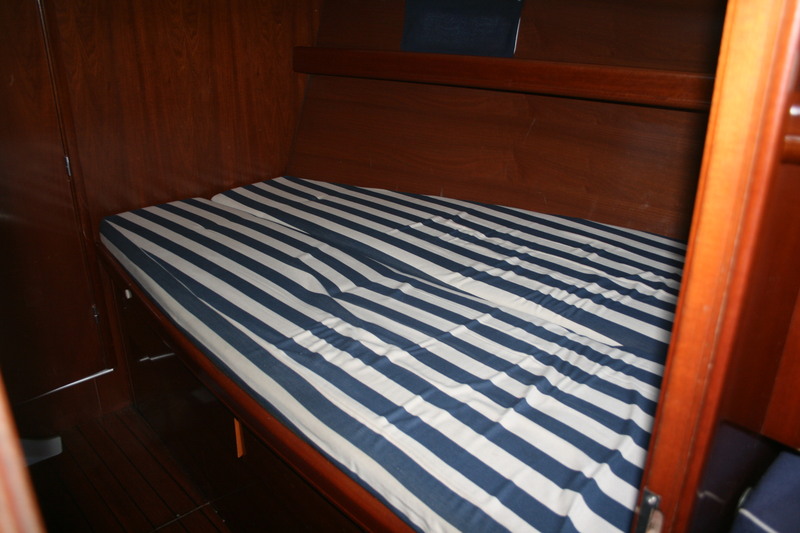 Double berth to starboard with an additional single berth portside. 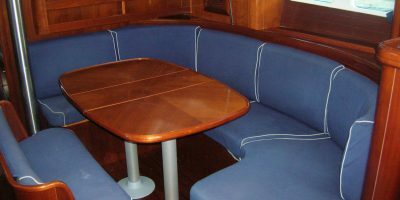 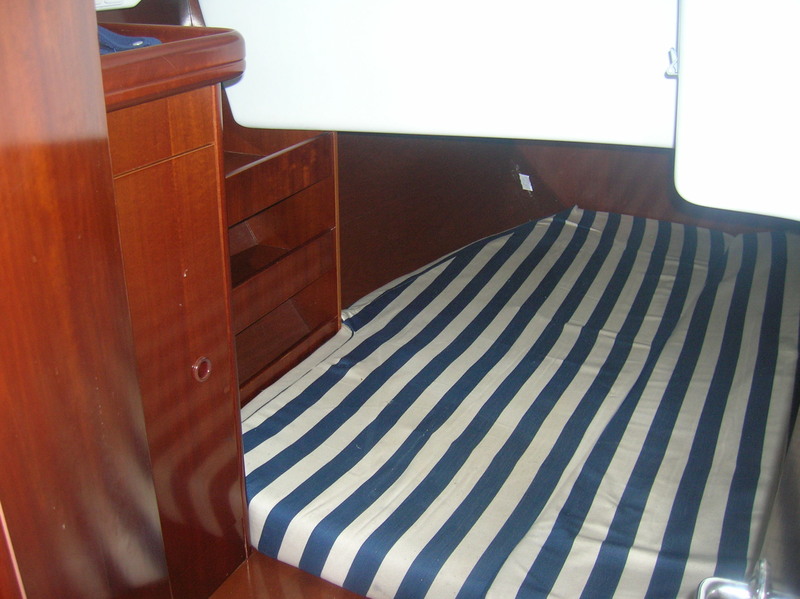 Moving aft we have the generous sized saloon with an all wood table which converts to a double berth. 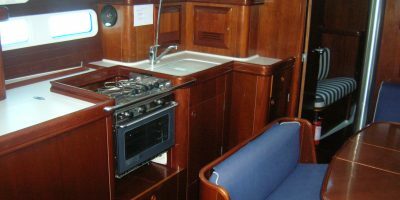 To the portside of the saloon is the galley with a 2 burner gimballed oven, a stainless steel twin bowl sink with pressurized hot and cold water. 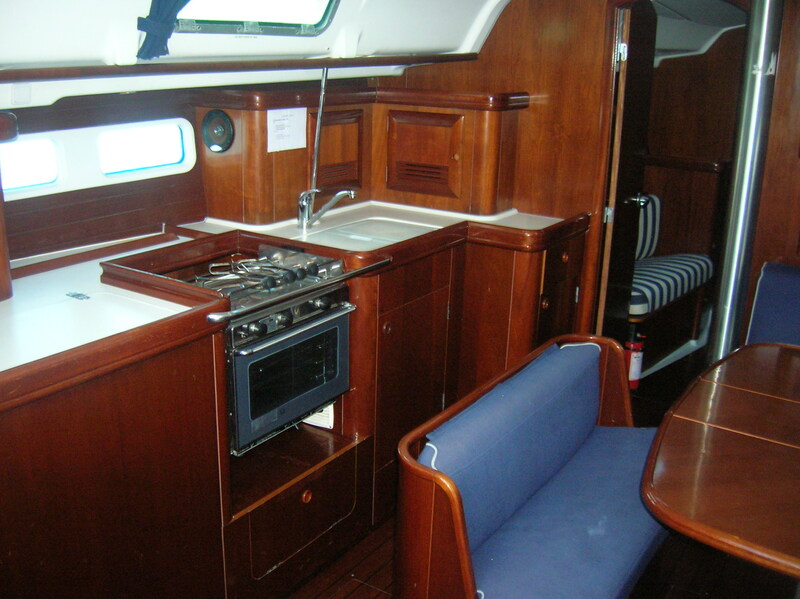 The galley also has plenty of storage cupboards, pots/pans/crockery/cutlery, a large icebox and a refrigerator. 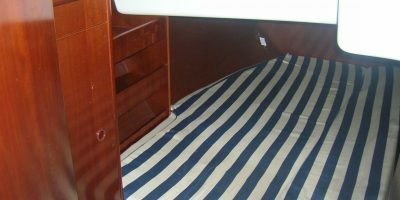 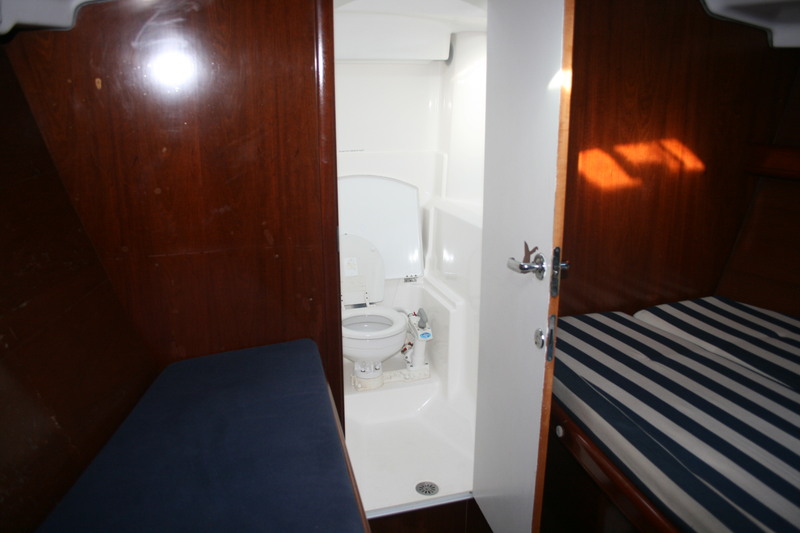 The aft heads compartment is to port of the companionway steps with toilet, basin and showerhead. 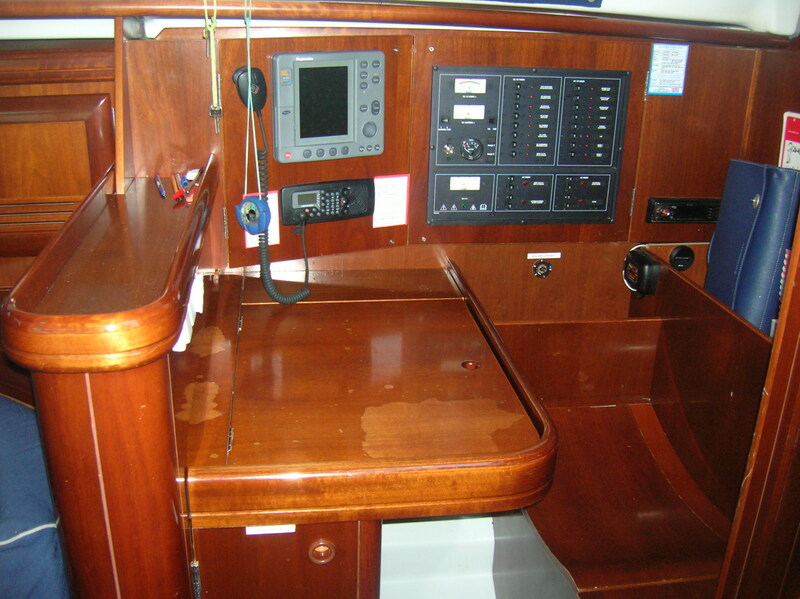 The forward facing chart table is then to starboard and houses the navigation instruments and electrical switch panel. 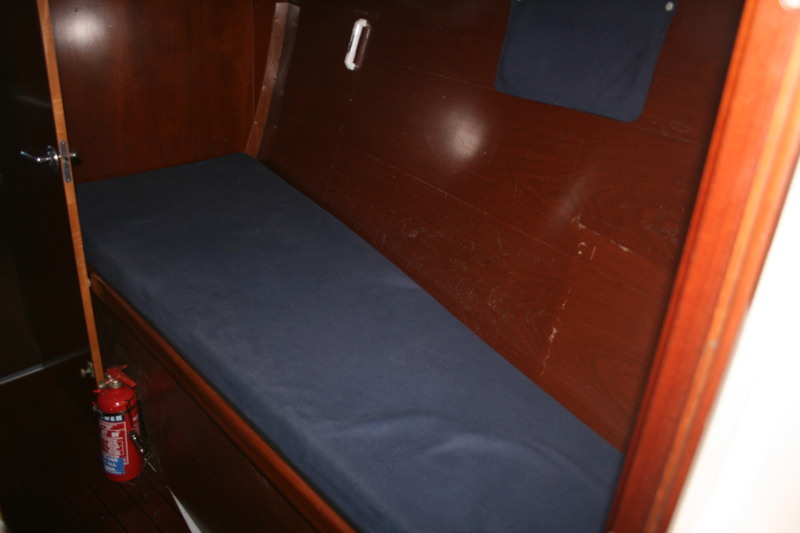 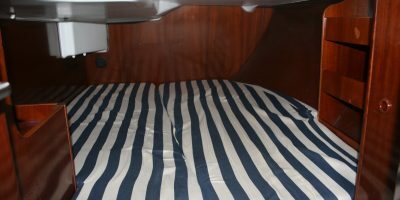 The two large double berth aft cabins are either side of the companionway and have good sized storage cupboards. 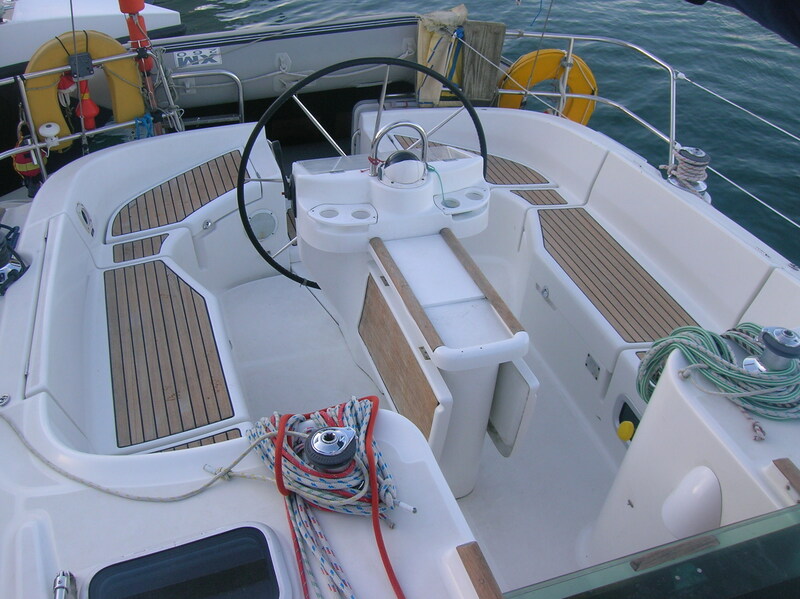 Volvo D2-55hp diesel engine driving 3 folding propellor via shaft 2x 140ah service and 1x 120ah engine batteries. 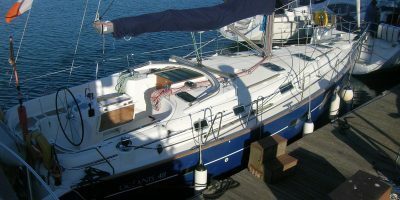 Charged by engine alternator and shorepower charger. 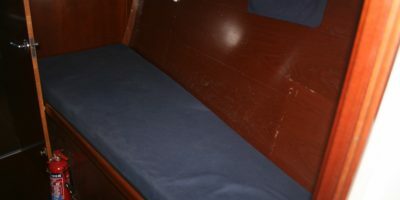 Engine spares kit. 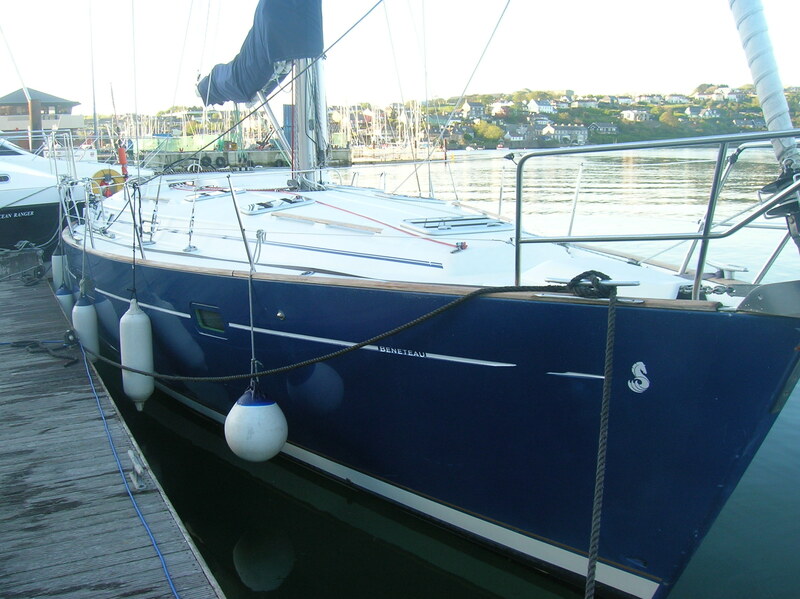 Performance rig (80cm higher mast) Anodised alumminium mast and boom with roller furling genoa and slab reefed battened mainsail with zipped stack pack stowage. 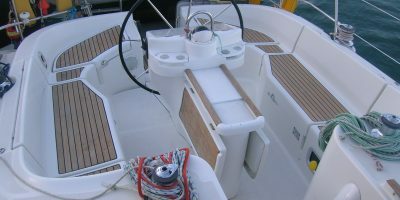 Upgraded Lewnmar genoa winches. 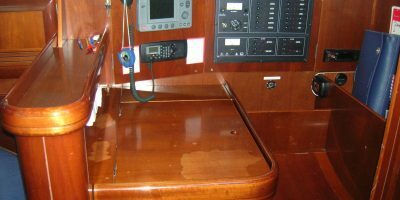 Electric portside halyard winch.